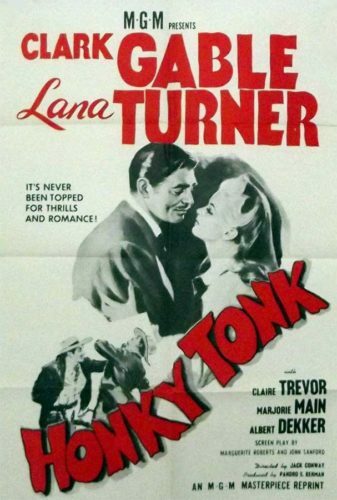 “Honky Tonk” is a 1941 black-and-white western film directed by Jack Conway, produced by Pandro S. Berman, and starring Clark Gable and Lana Turner.The supporting cast features Claire Trevor, Frank Morgan, Marjorie Main, Albert Dekker and Chill Wills. The marvelous rapport between stars Clark Gable and Lana Turner makes MGM’s Honky Tonk seem far more substatianal than it really is. 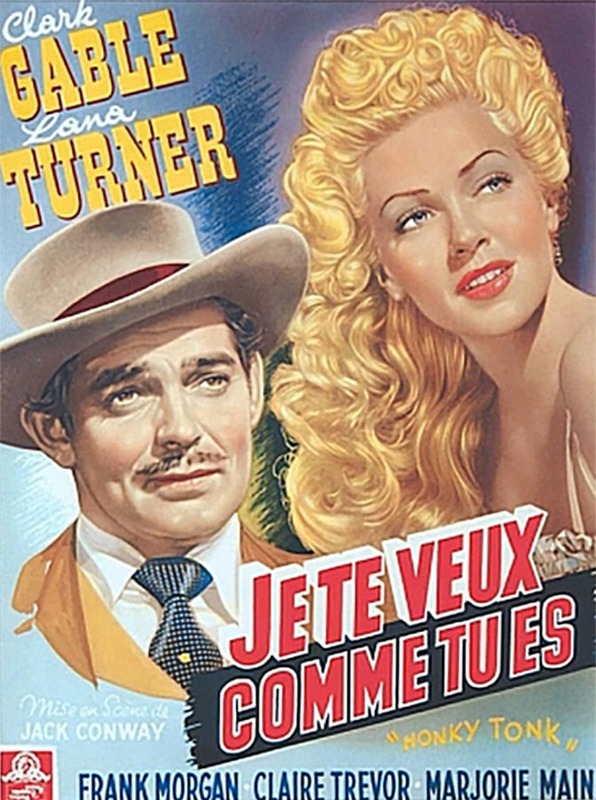 About to be tarred and featherd by an angry mob, frontier con artists Candy Johnson (Gable) and his pal Sniper (Chill Wills) manage to make a quick getaway via train. 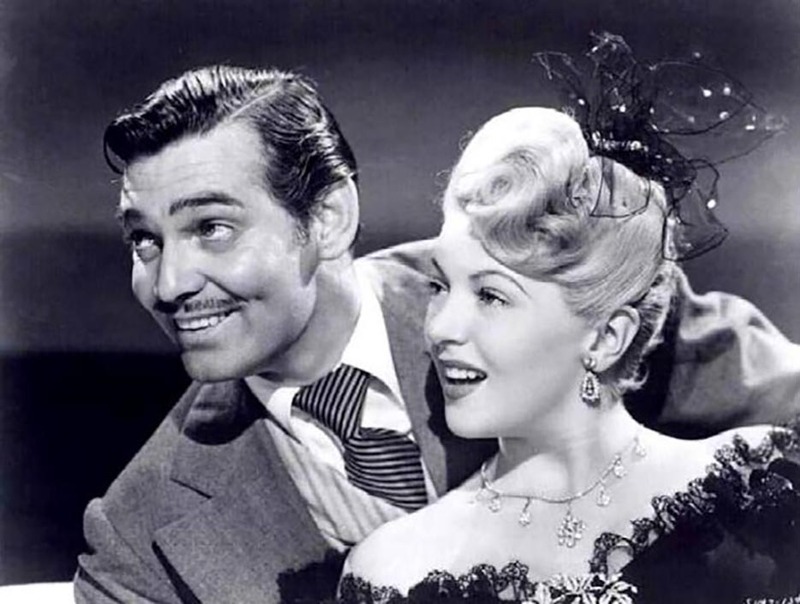 While on board, Candy strikes up a friendship with Boston-bred Lucy Cotton (Lana Turner), whose “respectable” daddy Judge Cotton (Frank Morgan) turns out to be as big of a sharpster as Candy. For Lucy’s sake, Candy decides to use his huckstering skill to good use by helping to build a small-town church, but soon he’s up to his old tricks, managing a dance hall and gambling emporium. 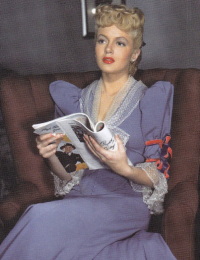 Growing more ambitious by the minute, Candy intends to take over the whole town with the covert assistance of Judge Cotton. 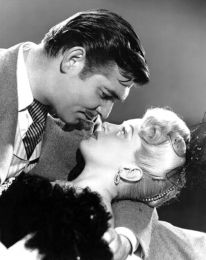 But when Candy marries Lucy (who still doesn’t know that he’s really a crook at heart! ), the enraged Judge exposes Candy’s takeover scheme, only to be shot down by the gambling hall’s straw boss Hearn (Albert Dekker). 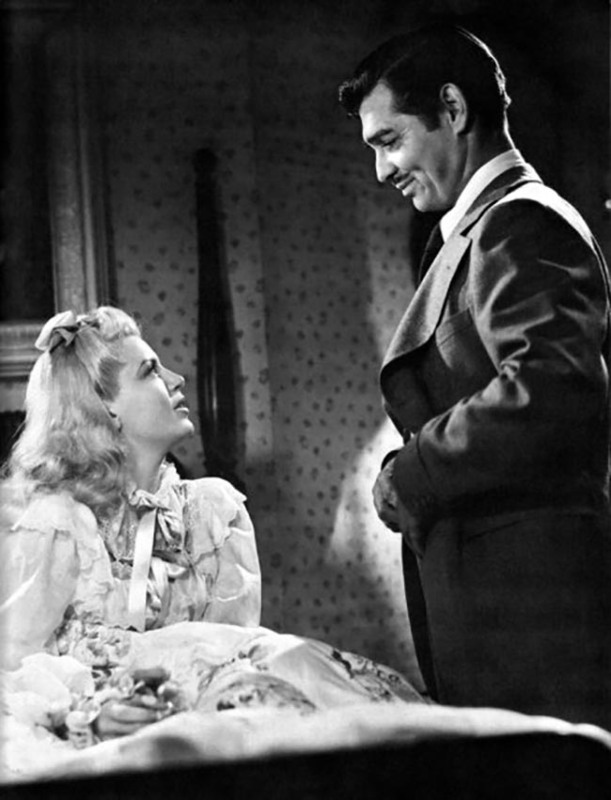 In his efforts to set things right and atone for past misdeeds, Candy is separated from Lucy time and time again, but there’s never any doubt that a happy ending awaits them both. Lana Turner plays Lucy Cotton. 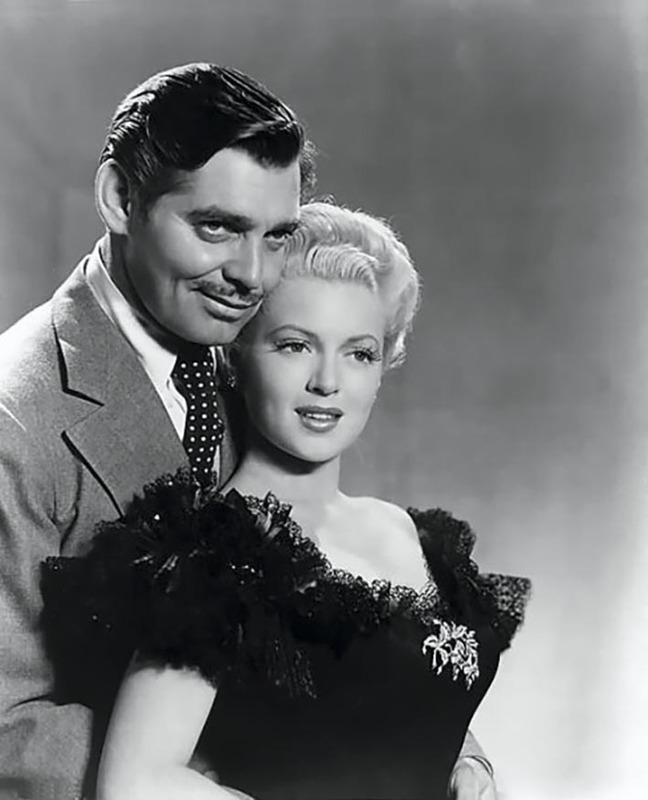 MGM’s decision to co-star Lana with Clark Gable was not only a box-office natural, but a fan’s romantic dream come true.